Do you need to install a brake controller to your vehicle? Canberra Towbar Fitters have been operating within Canberra and surrounding regions for more than 25 years and are the trusted name for towbars and brake controllers. If you’re looking for trustworthy advice, the highest quality products and safety standards, and competitive prices, you’ve come to the best place. Contact our experienced team of specialist fitters today on 02 6113 0549 or enquire online. If you’re towing a caravan, heavy trailer, or horse float with electric brakes, you’ll need to have a brake controller fitted to your vehicle. A brake controller lets the trailer or caravans brake system know how much braking power is needed to stop. This means, your trailer or caravan electric brake can take care of most of the braking power without relying solely on your vehicle to bring the caravan or trailer to a stop, or to slow down. Do I need an electric or mechanical braking system? If you’re towing heavier than 1 tonne you must have either a mechanical or electric braking system installed. If you’re towing more than two (2) tonnes, you must have electric brakes fitted. The experienced team of specialist fitters at Canberra Towbar Fitters can provide expert advice on your towing requirements and tailor a solution to your needs. 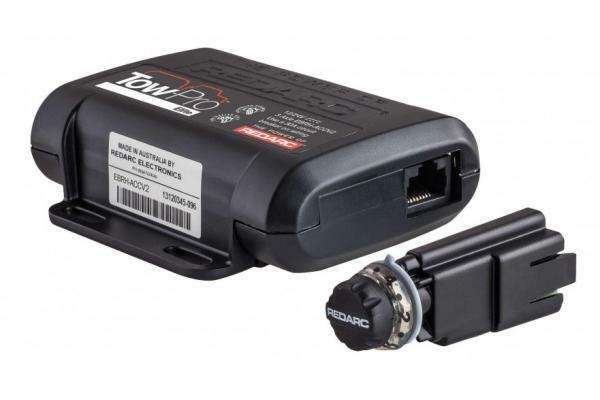 The Tow-Pro™ is an electric trailer brake controller designed to suit most common trailer braking applications whilst requiring minimal dash space and being simple to install and operate. User Controlled Mode for off road, the trailer brakes are applied to the level set by the user. If you’re looking for trustworthy advice on a towing solution or brake controller system for your vehicle, contact the experienced team at Canberra Towbar Fitters. Our comprehensive range of brake controllers come with a lifetime warranty and when it comes to safety, our highly skilled fitters set the industry standard so you can get on the road with peace of mind. For a competitive quote on your towing requirements and brake controller needs, contact us today on 02 6113 0549 or enquire online.